"I will try my best in the final," said Mary after the win. New Delhi: Five-time world champion M.C. 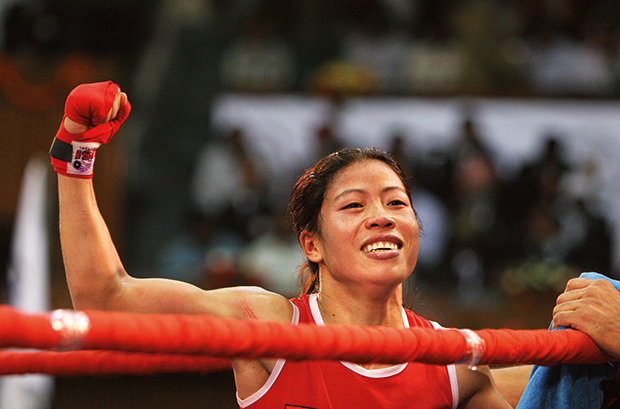 Mary Kom stormed into the final of the 48 kilogram light flyweight category after thrashing North Korean Kim Hyang Mi 5:0 by unanimous verdict in the AIBA Women's World Championships at the packed K.D.Jadhav Indoor Stadium here on Thursday. Mary had previously clinched the gold medal on five occasions - 2002, 2005, 2006, 2008, 2010 - besides bagging a silver on her debut in 2001. Thursday's semi-final bout got off with a rousing welcome for the seasoned Indian boxer, as Mary started with swift movements and successfully negated the height advantage of her rival. In the third and final round, Kim tried using her height and long reach but Mary used all her experience to thwart any challenge. The 35-year-old Manipuri pugilist, who is still tied with Katie Taylor of Ireland on five gold medals, has an opportunity to become the most successful woman boxer if she beats Ukraine's Hanna Okhota in the final. "I will try my best in the final. I fought with this girl in Poland and I have beaten her. I will try my best inside the ring," Mary said after her semi-final bout.